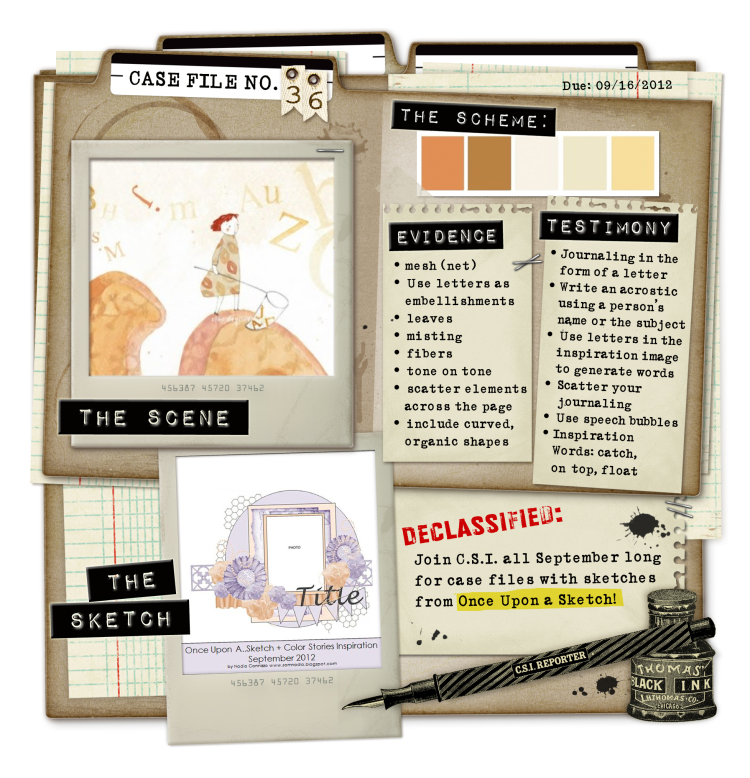 As you can see, Debbi has added a new dimension to the challenge for this month - as well as using all five colours in The Scheme, at least two pieces of Evidence and one item of Testimony, we also have a sketch to follow in order to solve the case. 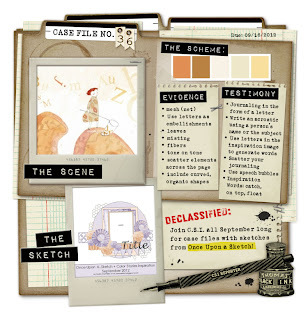 CSI has joined forces with Once Upon A Sketch, so each week we'll get a new sketch as well as the usual colour prompts and ideas and the fab CSI Coordinates which are free printable words, images and backgrounds. My Evidence: magic mesh in the background and layered on the banner; leaves cut from the CSI Coordinates and stamped on the background; misting; curved organic shapes cut from paper lace and accented with liquid pearls. You can see here the banner which I made with scraps of patterned paper layered with Magic Mesh, adding eyelets to thread the string through. There is also one of my favourite home made embellishments - a bottle top squished in the Cuttlebug and decorated with a 1" circle and a flower sticker.